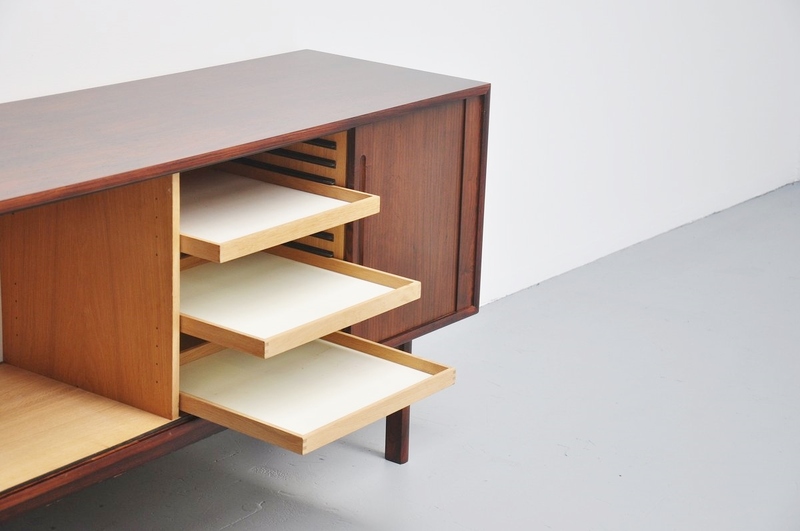 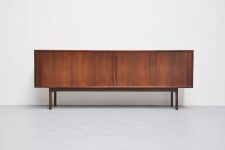 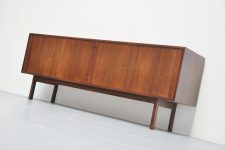 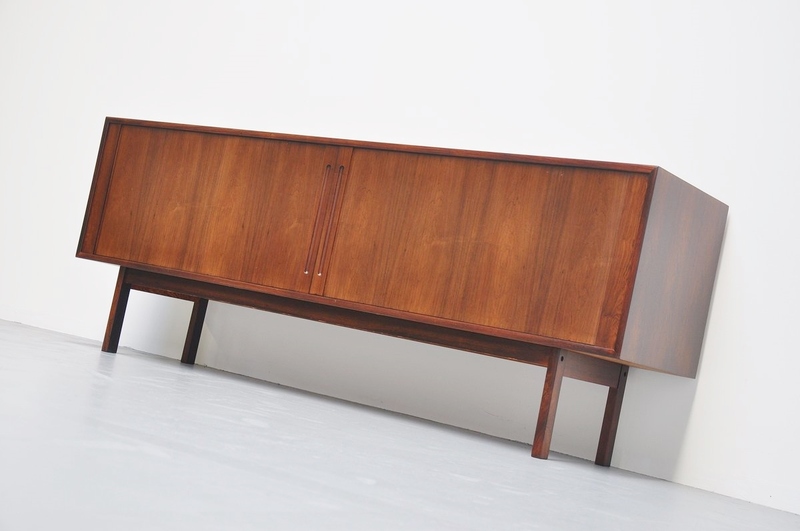 Well crafted rosewood credenza with tambour doors made by Georg Petersens Mobelfabrik, Denmark 1960. 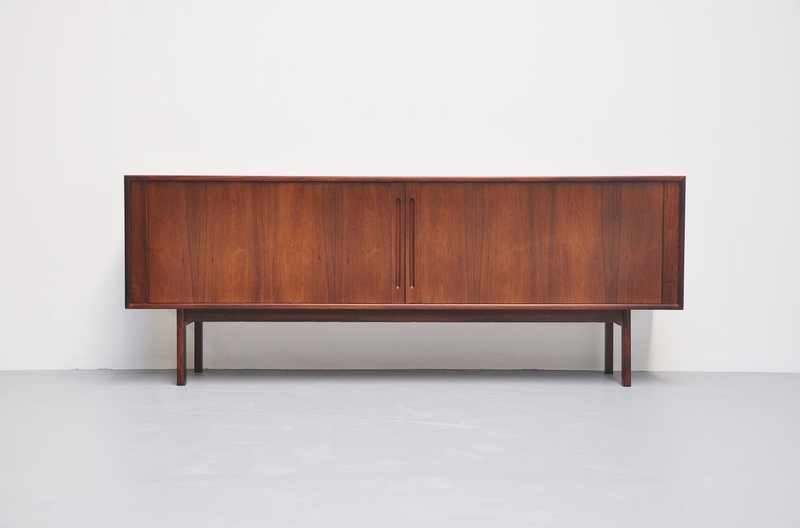 This wonderful credenza has 2 tambour doors with plenty of storage space behind it, incl 3 drawers that are adjustable in height if wanted. 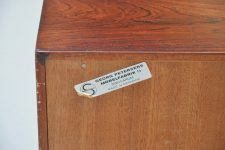 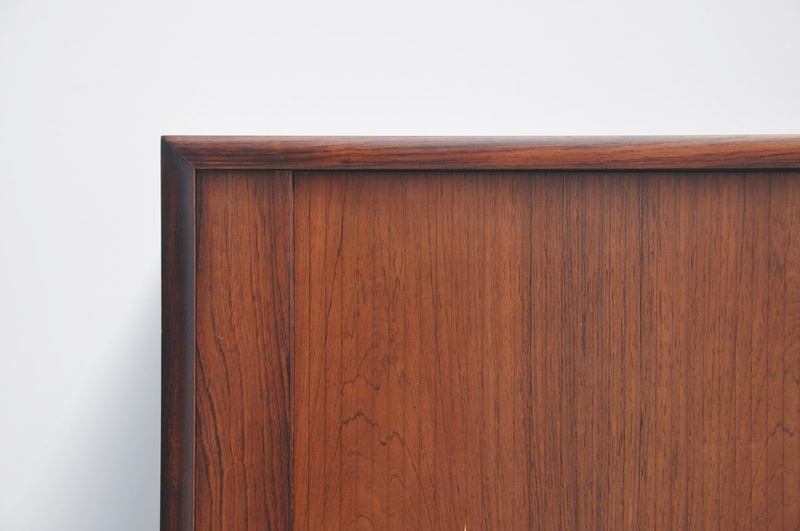 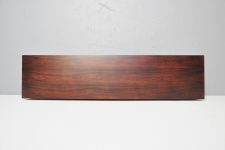 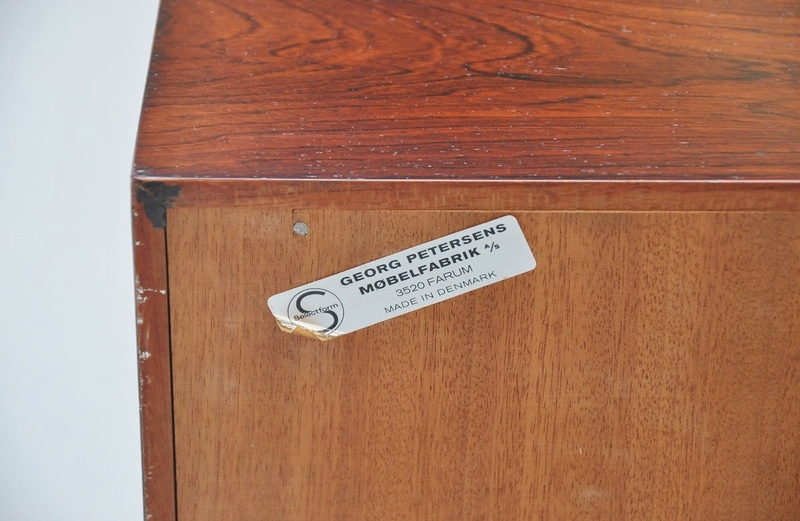 The credenza is made of nice grained rosewood and is marked with the manufacturers sticker at the back.